Okay so we’re on an overcrowded node which makes us lag, I have requested we change nodes, this will take time, so the server will be down for a couple of hours soon-ish like within the next couple of hours or so. I dont know how long it will be down for but hopefully not too long! 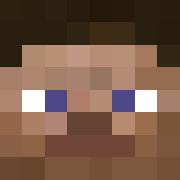 This SHOULD fix the lag we’re having, we will have a new IP but as long as you’re connecting to the server with mc.synergycraft.net, you will be fine, Ill keep you posted on whats going on! Join the discord if you want to stay posted.